Andrew Birks bt Jamie Goodrich 11-4, 11-8, 11-10 (2-0). Chris Truswell bt Matt Schonfrucht 11-7, 11-7, 11-1. Obaid Jahan Khan bt Jamie Mathews 11-10(9-7), 11-10(4-2), 11-6. Richard Birks bt Ben Coleman 11-7, 11-3, 11-10 (4-2). Rob Staunton bt Tom Javanaund 9-11, 11-6, 11-7, 11-7. Neil Desai bt Humberto de Mesquita 11-2, 11-4, 11-6. Adrian Waller bt Nick Hopcroft 11-6, 11-3, 11-8. Phil Nightingale bt Richard King 11-4. 11-3, 11-8. Matt Crowley bt Mike Knight 11-9, 11-6, 11-5. Eddie Charlton bt Sam Hodgkins 11-8, 11-1, 11-3. Nick Staunton bt Liam Balcombe 11-5, 11-3, 11-13, 11-1. 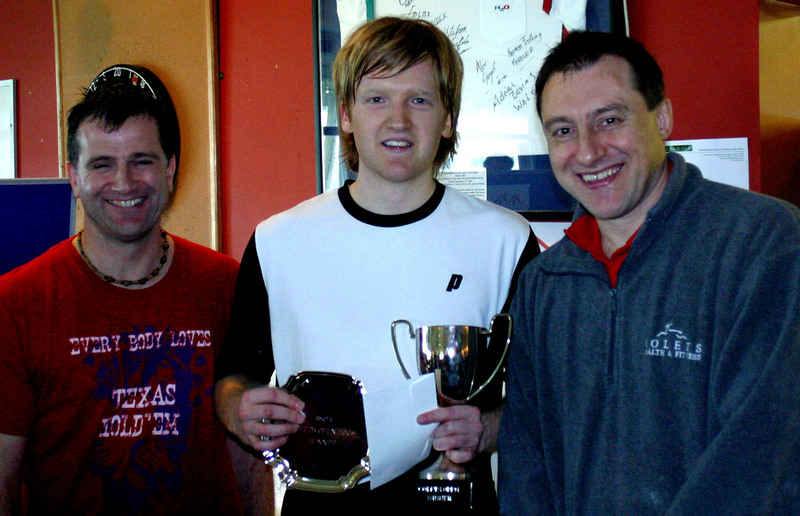 When the trophy was finally presented after four days of feverish activity at Colets Health and Fitness Club in Surrey, it was local boy Tom Richards who proved the value of young legs by beating Simon Parke in straight games in the final. Richards, 21, from Weybridge in Surrey, had played eight matches in six days before the match with Parke, but it was Parkes legs that gave out first out. Richards had beaten Nial Rooney and Shaun Larue in the qualifying rounds of the Irish Open, then knocked out the American number one Julian Illingworth in the first round, before being beaten by John White in the quarters. After a rushed flight back to Surrey, Richards knocked out Obaid Jahan Khan and Stacy Ross on Friday, then polished off Steve Meads and Peter Marshall on Saturday. The semi-final again Marshall had been a really hard slog going the full five games with Marshall running out of gas in the fifth to lose 11-1. Its really hard going in these tournaments, playing two matches a day, Marshall commented. But I lost the tie-break in the first game. I think If I had won that first game, I could have hung in to win, he said after the 70-minute match. In the other semi-final, Simon Parke, now 35 years old, had a very easy time as Scott Handley put up a token fight in losing 11-8, 11-4, 11-4. This was welcome relief to Parke who had a monumental five-game match against Ben Ford in the quarters, fighting back from two games down to win. The final showed just how much Richards has matured in the last two years. The former stroppy teenager now plays a very mature game with little sign of the tantrums that he used to have. He played exactly the right tactics against Parke, keeping the pace high and moving Park around the court, constantly using the boast to take Parke to the front of the court and then driving him to the back. Parke was world number three eight years ago and 25 years of experience at the top levels can more than make up for his advancing years, but despite some wonderful recoveries and bursts of great speed, he was unable to counter the relentless attack that Richards mounted over the three games. After 50 minutes of breathtaking pace, Richards emerged the 11-5, 11-6, 11-6 winner to deservedly take the winners cheque for 1,000. Ive been waiting to feel bad this whole tournament, but it hasnt happened, I feel quite good. My plan was to plays as fast as I can, because Simon never gives up. My boasts are usually not very good, but today they were working so I kept using them to move him around. Danny Lee, who has coached Richards from the age of 4, was there to give advice between games, was delighted with his protégés performance. It was a mature performance and he kept the high pace and a good shot selection, throughout the match. The only area that needs improving is fine tuning his shots when he has his opponent out of position, said Lee, who still works with Richards. Simon Parke said that he was very impressed with his young opponent. He stuck in there all the way. Hes now keeping off the tin and not making so many errors. Hes tough to play. Tom Richard continued his run of form when he knocked out Stephen Meads in the quarterfinals of the Colets LandInvest Homes Open this afternoon. The 21-year old from Surrey, who was sideline for nine months last year because of injury, has quickly got back to form over the last four months and expects to jump up 20 places from his present ranking of 86 when the new rankings come out at the end of April. Meads won the first game but from then on in it was a case of diminishing returns as the strong, very fast Richards took control to win the next three games. Richards will now face former world number two Peter Marshall, who retired from the circuit eight years ago after a six-year battle with Chronic Fatigue Sydndrome. Marshall. Now playing for fun, knocked out top seed Chris Ryder in straight games. Marshall’s close friend, Simon Parke, (they came up from the junior ranks together to move into the world’s top ten), had a much harder time, losing the first two games to Ben Ford before battling back to take the next three games. This was a reverse game plan for Ford who yesterday had to fight back from two games down against Eddie Charlton. Parke will now face Scott Handley who put an end to the giant-killing run of Adrian Waller, a junior who was the lone qualifier left in the draw. Handley won in four and, playing on his home court, should give Parke a tough time in tonight’s (Saturday) semifinals. Tom Richards, the Surrey prospect for world stardom, played John White in Dublin on Thursday night and 24 hours later was on court in Thames Ditton, Surrey, playing Stacey Ross. Richards has moved smoothly from top junior to a coming presence on the senior circuit, notching up good wins and even making the final of the Brazil tournament. As a qualifier he made the quarters of the Irish Open and although he lost to John White, he managed to take a game from one of the most gifted players of the last two decades. “I”ve always wanted to play White - he’s unique, there’s nobody like him. For the first game I didn’t see the ball, but then I got into it. I don’t like losing but I enjoyed that match,” he said after his second match of the day in the Colets Open. It was a tight schedule, getting a morning flight from Dublin – which was delayed - and just making it on to the court by five minutes. Despite the rush, Richards cruised to a 3/0 victory over the hard hitting Obaid Jahan Khan in the first round and then had a six hour breather before facing the talented veteran Stacey Ross in the second round. Ross was once the most talented junior in Britain and a Surrey star; so it was the old facing the new. They put on the best match of the day, an exhibition of precise shotmaking, superb length and marvellous finesse at the front of the court. Ross started quickly, led 6-0 but Richards got into his stride and pulled level: they exchanged points all the way to 12-12 before Ross put two points together to win 14-12. Richards ran to a quick lead in the second game and Ross decided not to chase the game and gave away the last six points. The third game was another very tight contest, and seemed to grow in intensity - and speed – neither player wanting to go 2/1 down. This time it was Richards who won the tie-break 12-10 to get that important lead. The fourth game was still tight but the rallies got shorter as Ross began to feel the pace and looked for the winners at the slightest loose ball. At 9-9 Ross could have still won it had his winners avoided the tin, but Richards played safe, kept the rallies going and merged the 11-9 winner, his first ever victory over Ross. He will now face another veteran, Steve Meads in the quarters. Adrian Waller, still a junior, showed his potential by knocking out Tim Vail in the second round. Waller started well to take the first game, Vail got up to speed to take the next two games, but lost the fourth 11-4 giving Waller the impetus to go into the fifth game with confidence and maintain his supremacy. He will now meet Scott Handley in the quarters. David Barnett made Handley work for his victory in their second round match which was played at a cracking pace. But Colets is Handley’s home from home – he has played for the first team for almost a decade, and knew the court well. They were the best of friends from junior days so it was strange to see them back in a tournament. 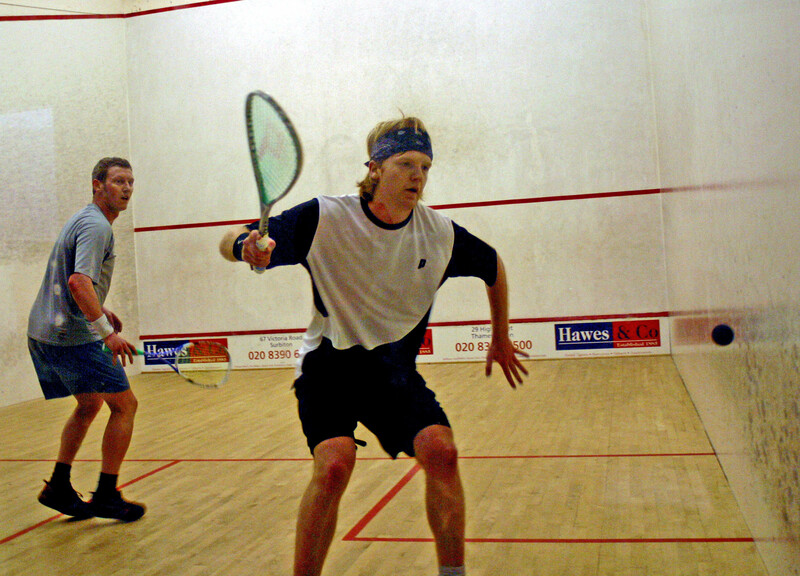 Simon Parke and Peter Marshall are both well into their 30’s, both retired from the pro circuit, but still capable of playing at a very high level. The touch, anticipation, movement and determination are still evident. Tim Garner took a game off Parke but had no answer to Parke’s range of shots and lightning reaction. Peter Marshall had less trouble in beating a young Ryan Thomson and will now face the top seed Chris Ryder in the quarters. Ryder had a walkover when Joel Hinds withdrew because of an injury. Parke’s quarter-final opponent will be Ben Ford, who scraped through in five games against a very determined Eddie Charlton who took the first two games 11-3, 11-8 and looked as though he had the very experienced Ford beaten. But Ford used all his experience to turn the match around -smashing a racket in the process – to win the final three games. The Colets Open, which has been growing year by year over the last three years, took a hit this year as one of the sponsors, a mortgage specialist, was forced to pull out due to the decaying mortagage and financing markets. 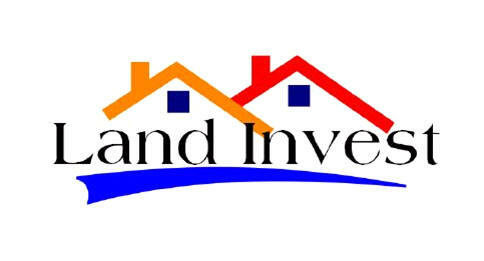 LandInvest Homes stepped in at the last minute to keep the tournament alive, albeit at £5,000 level. Despite mostly unknown names, the standard in the qualifying was high as young sturdy arms thumped the ball with incredible speed. Top among the bazookah warriors was Obaid Jahan Khan, a step brother of the great Hiddy Jahan who some observers still regard as the hardest hitter of all time. Hiddy, approaching 60 (or more?) is very much an elder brother to the 21 year old Obaid. But the family trait of trying to break the ball and the front wall with one single shot is very much in evidence. If he beats White, Jahan Khan will have a free ride into the second roundl. If Richards loses, he will have to try and get from Dublin to Thames Ditton on Friday in time for a noon match. John Rooney pulled out at the last minute creating a lucky loser spot which went to the youngest player in the tournament, 15 year old Nicholas Hopcroft, a local junior who is expected to move to the upper echelons of European junior squash in the coming years. Today he lost to Adrian Waller, who, with Danny Lee, tops the under 19 lists in the UK. Top seed is Chris Ryder with the old warhorse Simon Parke as second seed. They could both be given a tough test by Scott Handley and Ben Ford when it gets down the quarters and semis. Peter Marshall could knock the lot of them off the court if his fitness holds up.